Auto Bomb is a cross of Bomb #1 with a ruderalis and back crossed with a haze. 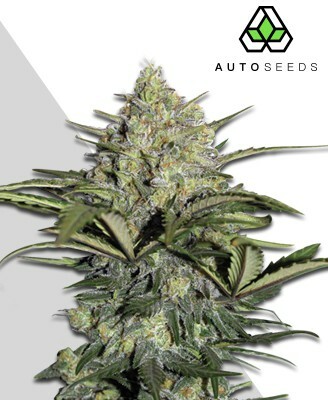 Auto Bomb has an impressive combination of potency, quick growth and great effects, all with the undemanding characteristics of an autoflowering strain. As fantastic a strain as Auto Bomb is, if you’re looking for brain-frying coma-inducing strength then look elsewhere. This is one chilled strain and its 10-15% THC level proves it is in no hurry. Having such a moderate THC level makes Auto Bomb just as suitable for the newbies as the veterans, and will allow both to comfortably consume as much as they want to get where they need. Along with this, Auto Bomb is one fast acting strain and will deliver a near instant shower of its relaxing effects. This is truly an indica-dominant strain in its impact, with the overall sensation provided being very physical and calming. The rich stone on offer here is accompanied by an all-round buzz that includes a cerebral component thanks to Auto Bomb’s sativa element. Because of this indica-based effect, Auto Bomb is probably best kept for evening enjoyment. Smoking up any earlier is likely to bring the day’s productivity to a grinding halt as the sofa beckons and refuses to ease its grip until the next morning. The upside of this is that, time and schedule permitting, you can enjoy an evening of tranquil bliss and the occasional fit of giggles where all your worries and concerns float away to allow you some peace. 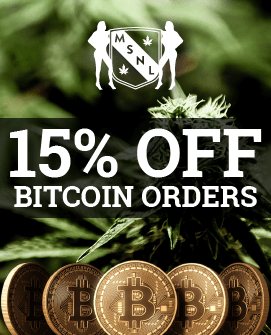 Naturally this effect will come with certain medical benefits, and these relaxing qualities can be used to banish stress, reduce anxiety, alleviate depression, stimulate appetites and relieve muscular aches and pains. 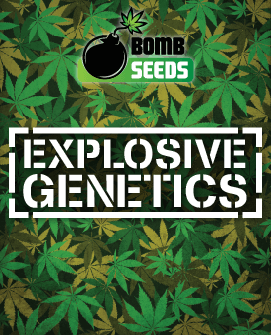 There is quite a wide range of yielding potential from Auto Bomb, and depending on the conditions on which the plant is grown it can offer anywhere between 250-500g per m2. Outdoor grows likewise seem to yield similar amounts, and growers can expect 30-60g of bud per plant. Being the indica-dominant result of cross-breeding two plants it is no surprise that Auto Bomb will keep to a modest height, growing anywhere between 30-100cm and very rarely exceeding this. 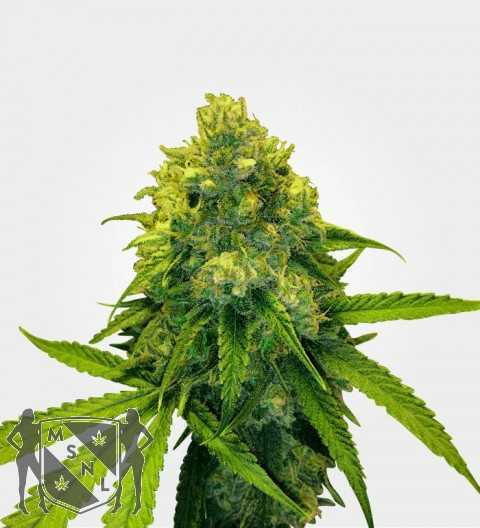 Its autoflowering and indica nature also gives it a swift flowering time that is generally around the 65 day mark, regardless of how the plant is grown. This combination of qualities means Auto Bomb is an easy plant to keep hidden away indoors, effortlessly fitting in any reasonably sized storage space where it will grow happily with a bit of light and nutrition. 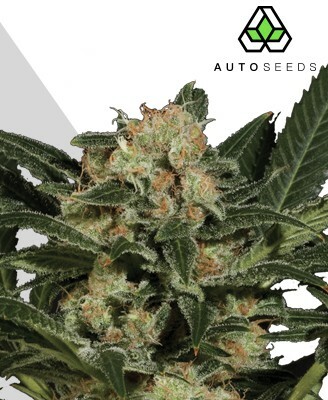 If this sounds too good to be true then believe it, because Auto Bomb is one hardy strain and has the kind of tough genetics that make it perfect for an inexperienced grower to learn the ropes. If you want to give Auto Bomb a more comfortable growing experience, however, then its short stature makes it an ideal candidate for a Screen of Green (ScrOG) or Sea of Green (SoG) setup. Combine this with a hydro or soil medium and you will have one happy Auto Bomb plant. Outdoor growing is also a very real possibility and the plant will thrive even in cooler northern European or north American lands as long as the temperature stays above 10C. 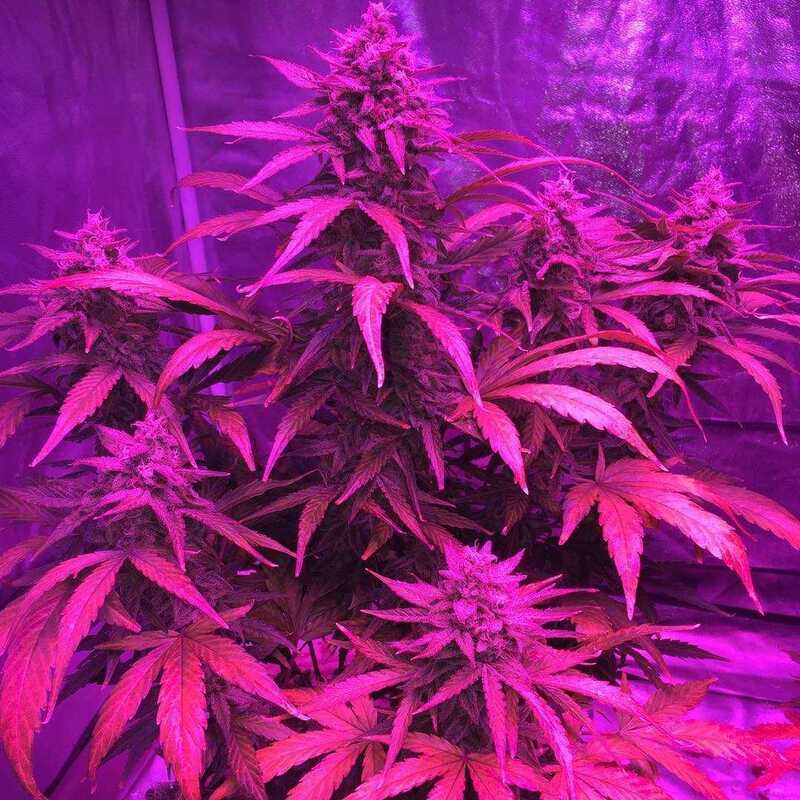 Its size means it will fit in a nice discrete corner away from prying eyes, while its low-maintenance genetics mean it does not need the daily heavy dose of sunlight that some others do. If you do decide to grow outdoors then you can collect your harvest from May to October, just make sure you have planted Auto Bomb after the last frosts have passed. 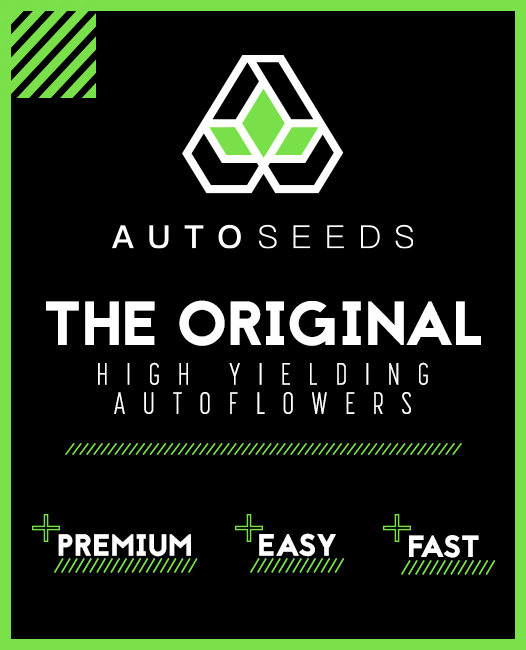 Autoflowering strains are not generally renowned for their flavour but there are plenty of very tasty and enjoyable varieties out there. Auto Bomb is one such strain, offering a smooth smoke that is highly floral and easy on the lungs. 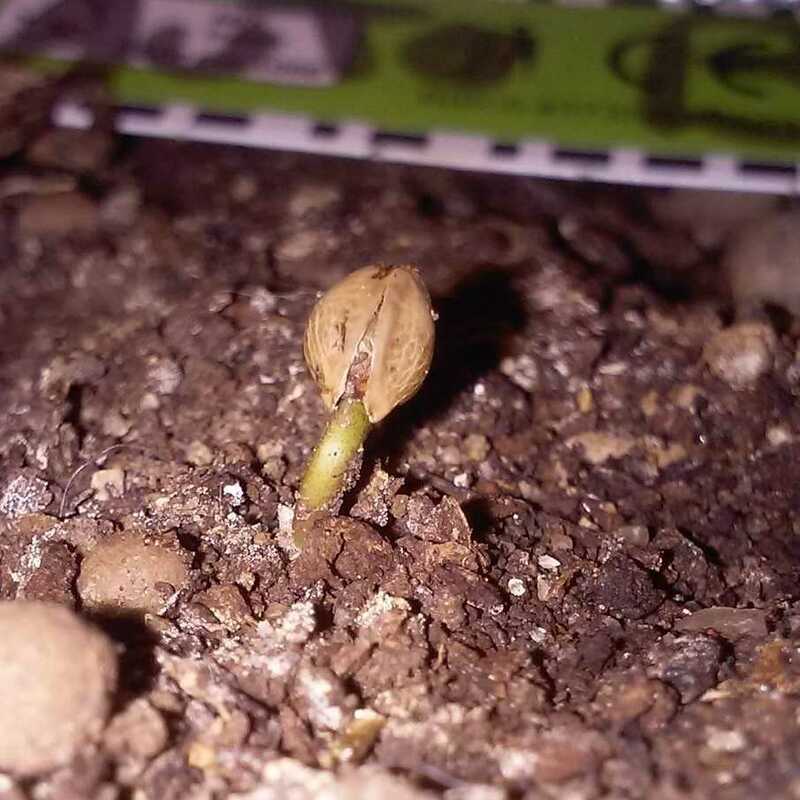 The quick flowering time of Auto Bomb is certainly no indication that it has taken any shortcuts, and this is evident after one look at its bud. Nugs are dense and big, clustered and filled with resin as they glow with a fine coating of snow-white trichomes on the outside. This is joined by a lemony scent that is every bit as fresh as the flavour when smoked.